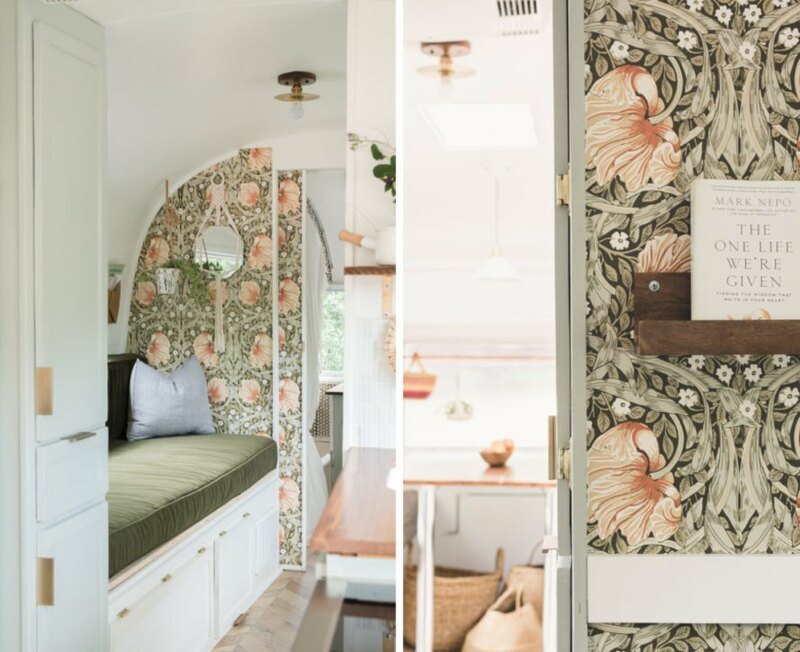 While most Airstream renovations tend to go for a minimalist aesthetic to create the illusion of more space, surface pattern designer Bonnie Christine used her love of florals to convert her 1962 Airstream trailer into a gorgeous home on wheels. 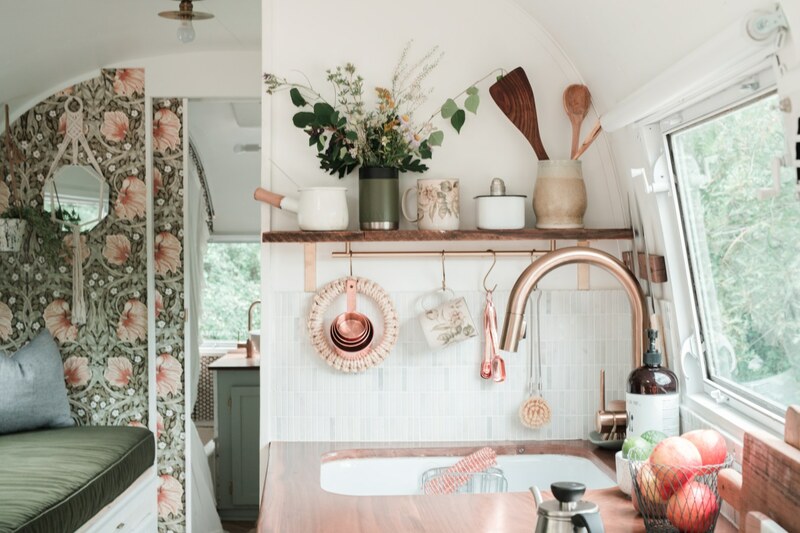 To transform the formerly drab interior, Bonnie lined various accent walls in wallpaper with a forest green background and light pink flowers to add a fresh and vibrant flair to the incredibly compact 150-square-foot tiny home. Bonnie and her husband bought the 1962 Airstream Overlander in order to take their family of four on the road. However, the interior was in dire need of a makeover before they could set out on their travels. To completely revamp the living space, the talented surface pattern and fabric designer used her artistic skills to create a fresh new aesthetic. 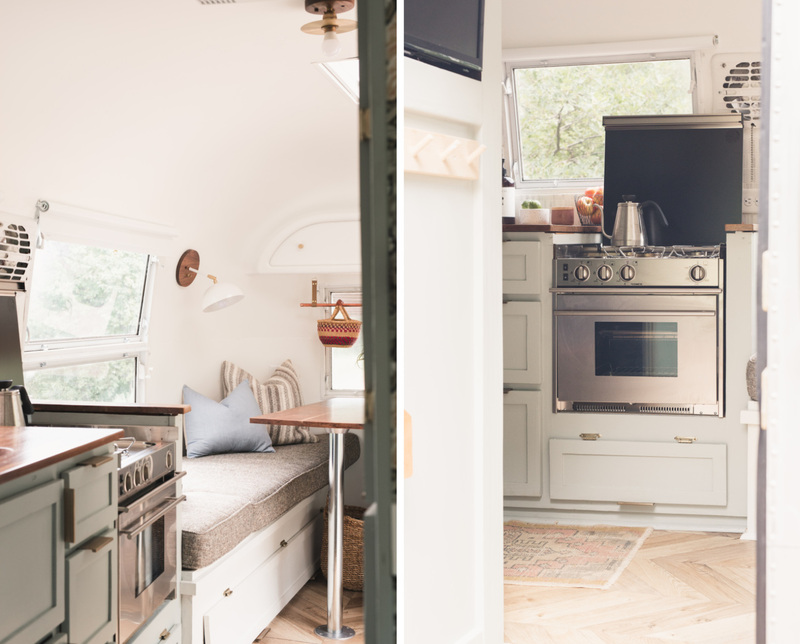 Renamed “Marjorie” after the original owner, the project is an example of an Airstream renovation done right. 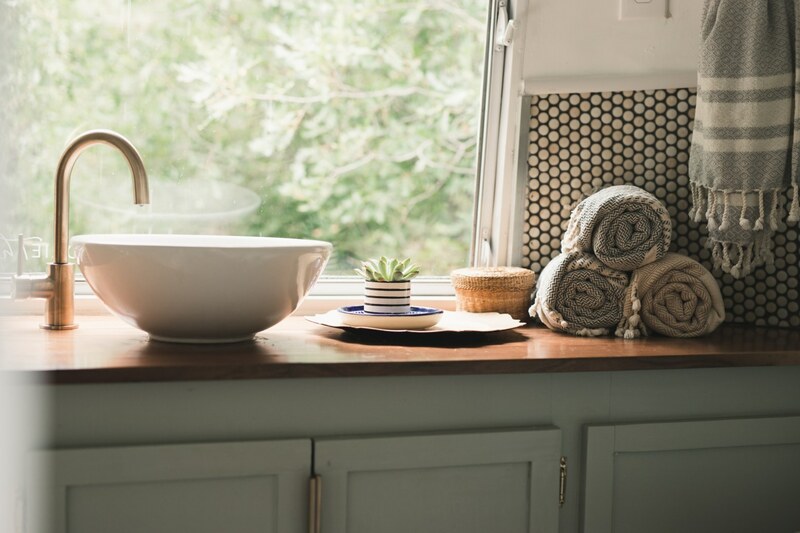 Bonnie began Marjorie’s makeover in the kitchen, where she stained and rebuilt the cabinets before painting them in a soothing green tone. Using this earthy moss color as a starting point, the space then needed a little extra vibrancy, which came in the form of the “Pimpernel” wallpaper by William Morris. 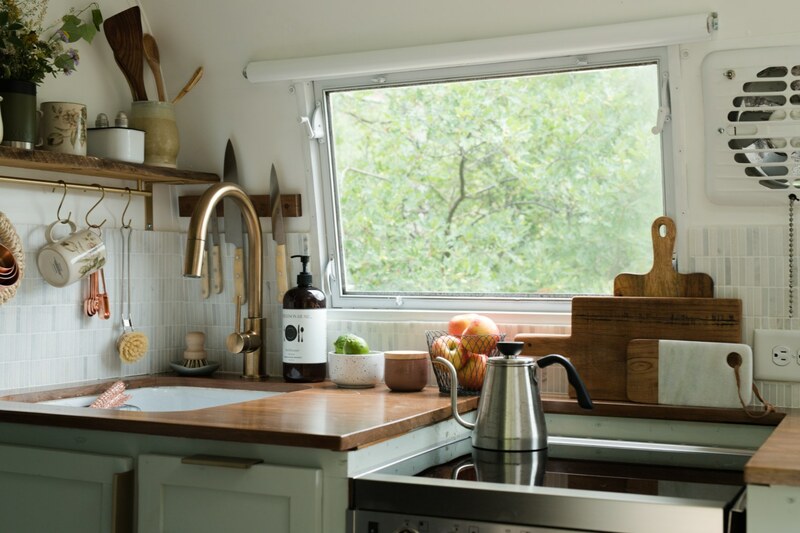 The rest of the tiny home is equally as inspiring, with a fresh decor that brightens up every corner of the compact living space. A small dinette set was kept in neutral colors to contrast the floral wallpaper, and the kitchen uses shelving and storage to avoid clutter. 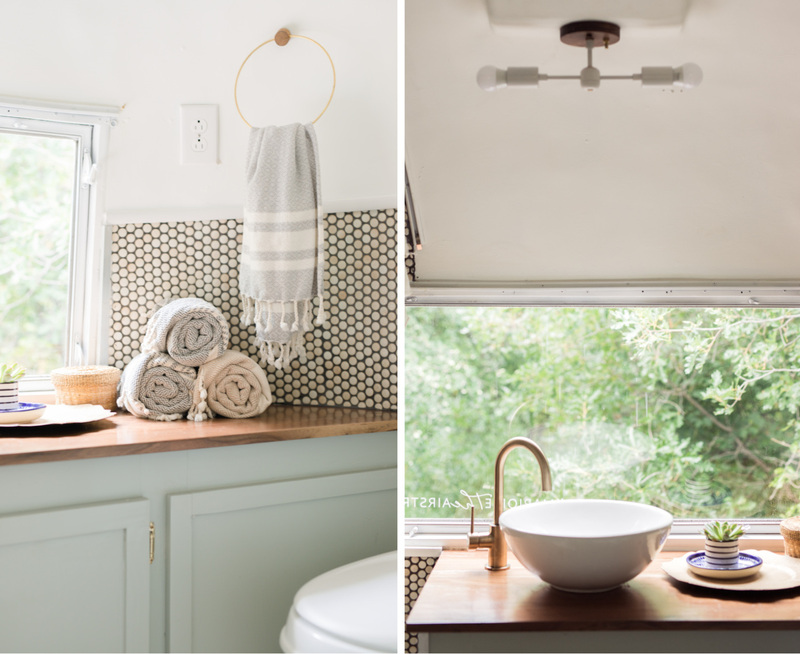 Even the home’s itsy-bitsy bathroom gives off a spa-like feel. To complete the ethereal atmosphere, the entire living space is flooded with natural light. This Airstream makeover is the hard work of surface pattern designer Bonnie Christine. 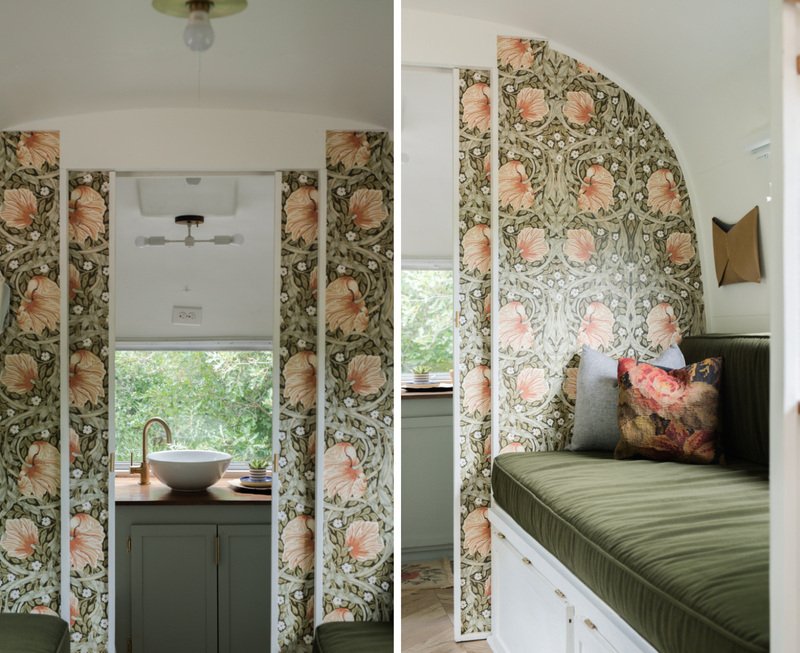 The 1962 Airstream makeover includes lots of florals. Before pictures really show the work that Bonnie Christine put into the renovation. The original interior is hardly recognizable. 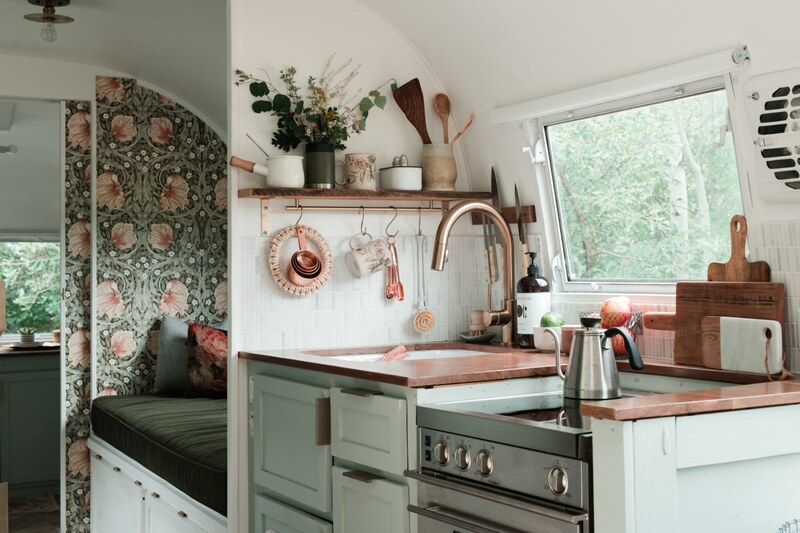 Bonnie revamped the interior to be a light-filled home on wheels. The kitchen is a compact, but functional space. Floral wallpaper gives the interior a fun character. The trailer has plenty of storage to keep clutter at bay. The bathroom was renovated by painting over the original cabinets. The bathroom evokes spa vibes. The kitchen space leads into the lounge area. The space is light and airy, with a classic country vibe. Floral accents give the interior a feminine touch. 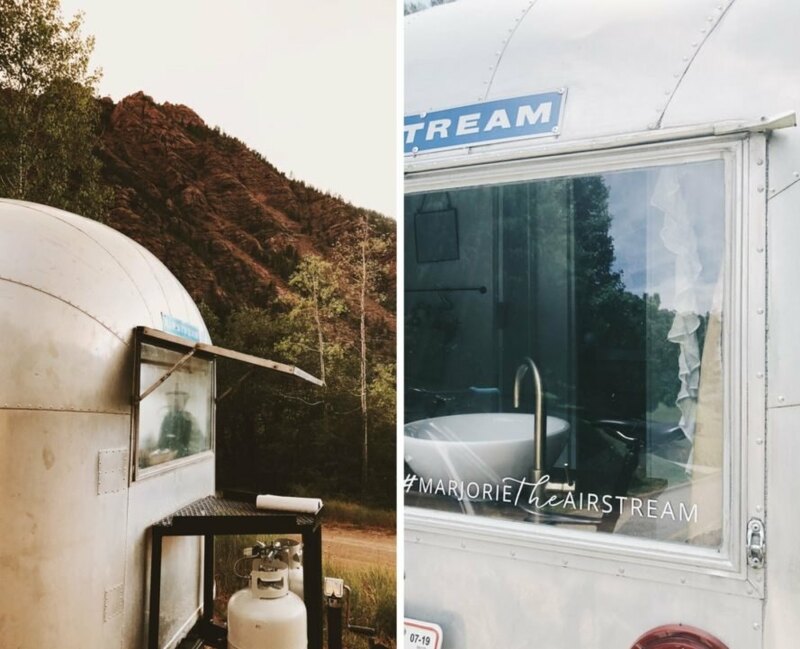 The Airstream was renamed Marjorie in honor of the original owner. 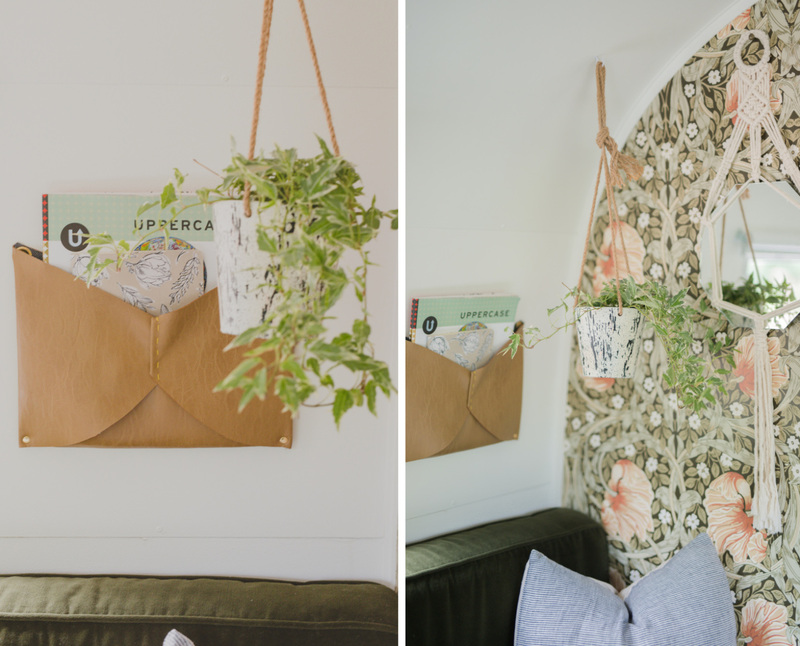 Bonnie worked her artistic magic on this old Airstream.